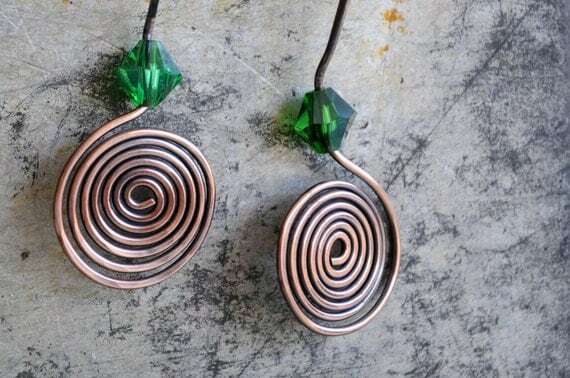 I fashioned each earring from a single piece of raw copper wire, which I hammered, oxidized, and polished. They are very lightweight, weighing 1/20 ounce or less each. They are about 1 1/2" long from the top of the ear wire. The faceted emerald green glass beads add a lovely bit of color and sparkle! Thanks for submitting your comment. It will be reviewed and posted if acceptable.